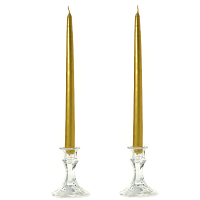 Our silver and metallic gold taper candles add the perfect touch to your event or home decorations. These metallic taper candles shine even when they are not lit, elegantly reflecting rays of light in your home. 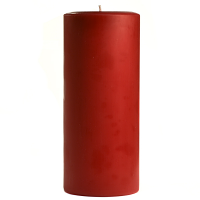 The unscented taper candles will make your arrangements look beautiful and expensive. We sell these unscented candles by the pair. They will burn at a rate of about 1 to 1.5 inches per hour and fit into standard size taper holders. These candles are gorgeous -- perfect size for my tall hurricane lanterns and great color. Excellent price. Will order from this company again.